Lost Kids Of Corona: Finding IMI was produced in collaboration with Immigrant Movement International Corona (IMI). This short film follows the story of two 10-year-olds who get lost in the bustling neighborhood of Corona Queens. On their journey, they discover a vision of what community self-defense can look like from their neighbors. Community Media in Action links community social justice issues with youth media makers and community organizers for exciting collaborations. The program provides trainings and support to NYC based social justice groups; including rapid response media production, live event coverage on social media, developing impactful messaging for campaigns, and public speaking. It is our response to the vital need for both media production and analysis in community organizing efforts. It's our attempt to support youth leadership, arts and media at the forefront of organizing for social change. Members of Community Media in Action on a shoot to create a story about police harassment in their neighborhood. Dignity in Schools Campaign NYC is fighting for restorative justice and transformative solutions to discipline in schools. 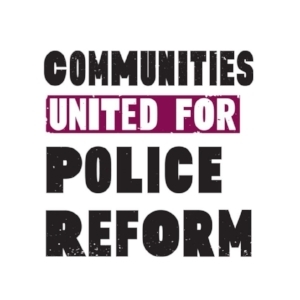 Communities United for Police Reform works on fighting for city-wide policies to increase police accountability. Made in collaboration with DRUM and Ugnayan, this short film takes on the NYPD's systematic unlawful and deceptive searches of young people of color. The filmmakers produced this film to create awareness of and support for the Right to Know Act, which aims to create transparency and accountability in everyday interactions between the NYPD and the public. The Hate Free Zone campaign is building a community defense system that will allow us to defend our communities from workplace raids, deportations, mass criminalization, violence, and systemic violation of our rights and dignity. Over a thousand people from communities across NYC gathered to launch a community defense and "Hate-Free Zone" in Jackson Heights, Queens. Neighborhood-based groups held a press conference and march through the heart of Queens (in Jackson Heights, Woodside, Elmhurst, and Corona), some of the most diverse neighborhoods in the country and home to working-class immigrant, Muslim, LGBTQ, Latino and Filipino communities, to begin the process of building community-wide defense systems to protecting ourselves.